Dimos will begin her collegiate coaching career after wrapping up a successful career, playing four years as a defender at Division III DePauw University. 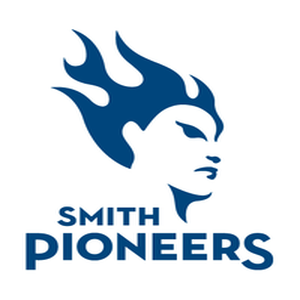 "I am excited to join the Smith E.S.S. Graduate program as well as be a part of the women's soccer program for the next two years," said Dimos. "I am looking forward to learning and growing both in and outside of the classroom." Dimos started all 72 games of her collegiate career, helping the Tigers to a North Coast Athletic Conference Championship and NCAA Division III Championship appearance in 2016. 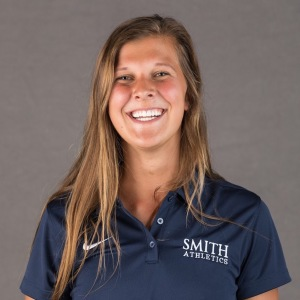 In the spring of her junior year, the two-time All-Conference Second Team selection studied Sports Science at the University of Limerick in Ireland while playing on the women's soccer team. Dimos spent three summers as an assistant soccer coach at the Julie Foudy Sports Leadership Academy and a soccer coach for the Putnam County Youth Soccer Association. She was selected to attend the NCAA Career in Sports Forum in Indianapolis, Indiana in 2015. Dimos earned a Bachelor of Arts degree in Kinesiology from DePauw in 2017.